No, not fear of the gentiles. We had enough of that, from the last 2,000 years of abuse at their hands. No, I’m referring to fear of the Israeli police and government. Really, there’s no good reason not to bring the Korban Pesach. Most of the halachic (Jewish Law) issues have been solved in the last couple hundred years, at least since the time of the Chatam Sofer, and particularly in our generation. Halacha is not the barrier. Go check it out. Fear of the Israeli Authorities, is the only thing that holds back the Korban Pesach from being brought D’Orayta (as commanded in the Torah), on the Temple Mount. So, the Passover offering that is supposed to symbolize complete faith in the G-d of Israel, and His redemptive process, has degenerated into eating more Matzah at the end of the Seder (the Afikoman). That, after we’ve already had our fill of Matzah earlier; instead of taking the symbol of the oppressor, chaining it in public for four days, then slaughtering it, roasting it in a way that the evil ones can see their “power” being destroyed, and then eating it, Real Korban Pesach! Just like before we left Egypt. I really lust to bring the Korban Pesach to the Bet HaMikdash, and worship the G-d of Israel, the way He intended me to do, as described in His Holy Torah. Every year, I hope that this year, will be THE YEAR! In fact, every committed Jew should desire the rebuilding of the Bet HaMikdash (the Third Holy Temple, the House of God) on the Temple Mount in Jerusalem. But even before that, the Korban Pesach can be brought. As I said earlier, there are no halachic problems, to prevent it from being carried out properly today. Interestingly, there is a similarity between Korban Pesach and Israel’s redemptive process unfolding before our eyes, in our time. Unlike other Offerings, if the majority of the nation is Tamei (Ritually Impure), as it is today, the Korban Pesach can be brought in an impure state. So, God has His own plan… And, we Jews, just have to have simple faith and trust in Him, and do what needs to be done. Whether Jews of little faith understand it or not, every stabbing, every shooting, every act of terror and war by Arabs and Muslims against Jews, is a part of a long religious war taking place. That’s how they understand it. Well, let me tell you, there are Jews who understand this too. We shouldn’t let fear of the world or fear of the Israeli government, stop us from carrying out a Commandment of the Living God. “HaShem Ish Milchama…’’ The God of Israel is a Warrior, the Lord is his name (Exodus 15:3). What prompted this outburst of the mufti? The mere attempt to reenact Korban Pesach – not even the real thing – by the Temple Institute and other Temple Mount organizations, near, but not on, the Temple mount in Jerusalem. This year, on April 15th, the Sanhedrin will again oversee a full-dress reenactment of the Passover offering, for the eighth year. The ceremony will be held at the Davidson Center adjacent to the Temple Mount, as it was last year. By the way, the Arabs did nothing last year, or the year before. But why a reenactment? FEAR! The Yalkut Shimoni – a midrash – on the Book of First Samuel (106) teaches us an awesome lesson about the Churban/destruction and exile by the Romans, Rabbi Simeon Bar Menasya said, “Israel was only exiled after it rejected the following three things, Malchut Shamayim/the Kingdom of Heaven, Malchut Beit David/Kingship from the House of David, and the Beit HaMikdash/the Holy Temple. We learn from this, that the cause of the exile of the Jewish people, was because we took too lightly, Torah observance (God’s rule), we should have demanded a rightful Davidic descendant be appointed as king, once the Maccabees drove out the Syrian Greeks, and Jews didn’t care enough about the Holy Temple in Jerusalem. By the attitudes and behavior of most Jews today; the secularization and assimilation; apathy about the Messianic concept and the Temple Service; or FEAR of greatness in serving God, Rabbi Simeon’s prediction seems to have come true. To remedy the situation, end exile and bring the compete redemption, Jews must be taught to understand the value of these three things, then begin to demand them, and work to achieve them. The Sanhedrin’s reenactment of the Korban Pesach is a good first step. But, haven’t we been there, done that, already? Maybe we should be bringing the real Passover Offering on the Temple Mount this year, instead of just re-enacting it nearby? Remember, The God of Israel is Also a God of War! 1. If God wanted us to have vegetarian diets and not harm animals, why were the Biblical sacrificial services established? By this divine plan it was effected that the traces of idolatry were blotted out, and the truly great principle of our Faith, the Existence and Unity of God, was firmly established; this result was thus obtained without deterring or confusing the minds of the people by the abolition of the service to which they were accustomed and which alone was familiar to them. Rabbi J. H. Hertz, the late chief rabbi of England, stated that if Moses had not instituted sacrifices, which were admitted by all to have been the universal expression of religious homage, his mission would have failed and Judaism would have disappeared. With the destruction of the Temple, the rabbis state that prayer and good deeds took the place of sacrifice. David Kimchi, notes that nowhere in the Ten Commandments is there any reference to sacrifice, and even when sacrifices are first mentioned (Lev. 1:2) the expression used is “when any man of you bringeth an offering,” the first Hebrew we ki being literally “if”, implying that it was a voluntary act. Deeds of compassion and kindness toward all creation are of greater significance to God than sacrifices: “To do charity and justice is more acceptable to the Lord than sacrifice” (Prov. 21: 3). 2. When the Temple in Jerusalem is rebuilt, won’t the sacrificial services be restored and won’t people have to eat meat? As indicated previously, Rav Kook and others believe that in the Messianic epoch, human conduct will have improved to such a degree that animal sacrifices will not be necessary to atone for sins. There will only be non-animal sacrifices to express thanks to God. As also indicated, based on the prophecy of Isaiah (11:6-9), Rav Kook and others believe that the Messianic period will be vegetarian. While most Jewish scholars assume that all Jews ate meat during the time that the Temple stood, it is significant that some (Tosafot, Yoma 3a, and Rabbenu Nissim, Sukkah 42b) assert that even during the Temple period it was not an absolute requirement to eat meat! Rabbenu Nissim characterizes the “requirement” to eat the meat of festival offerings as mitsvah min ha-muvhar, that is the optimum way of fulfilling the mitzvah of rejoicing on the festival, but not an absolute requirement. Moshe Halevi Steinberg, in the responsa previously mentioned points out that vegetarianism for health reasons did not conflict with halacha even in Temple times. He indicates that one could be a vegetarian the whole year, and by eating a kazayit (olive-size portion which, due to its size, would not damage his health) of meat, he would fulfill the mitzva of eating the meat of sacrifices. Even a kohen (priest) could be vegetarian except when his turn came to eat of the sacrifices during his period of duty (about 2 weeks), when he, too, could eat just a kazayit. He actually could eat even less according to the Hatani Sofer, since many kohanim could join together to eat the required amount, so that the vegetarian kohen could eat even less than a kazayit. R. Steinberg notes that among the things listed as disqualifying a kohen from service in the Temple, vegetarianism is not included, since he could arrange the problem of the eating of the sacrifices in one of the ways listed above. However, R. Steinberg adds, a kohen who became a vegetarian because his soul recoiled against eating meat would not have been allowed to serve in the sanctuary since if he forced himself to swallow a kazayit of meat, it would not fulfill the halachic definition of “eating”. 3. Doesn’t the Torah mandates that we eat korban Pesach (the Passover sacrifice) and other korbanos (sacrifices)? Without the Temple, these requirements are not applicable today. And, as indicated, Rav Kook felt, based on the prophecy of Isaiah, that there will only be sacrifices involving vegetarian foods during the Messianic Period. 4. In Jewish literature, it is stated that with the advent of the Messiah a banquet will be given by God to the righteous which the flesh of the giant fish, leviathan, will be served. Isn’t this inconsistent with the idea that the Messianic period will be vegetarian? These legends concerning the leviathan are interpreted as allegories by most commentators. According to Maimonides, the banquet is an allusion to the spiritual enjoyment of the intellect. Abarbanel and others consider the expressions about the leviathan to be allusions to the destruction of the powers that are hostile to the Jews. 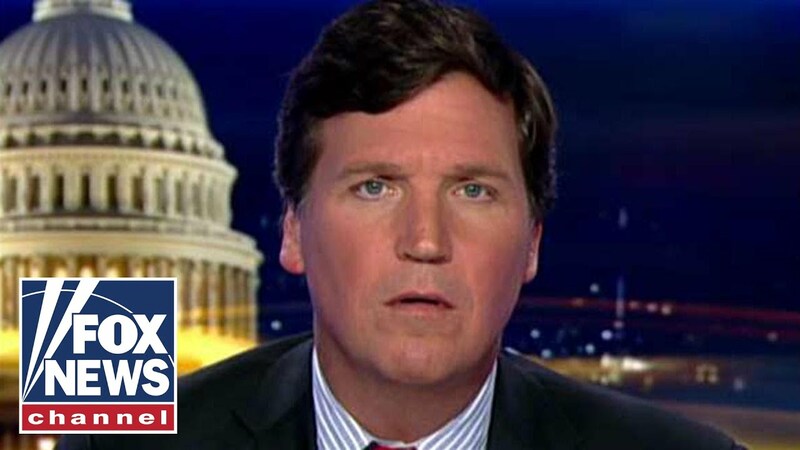 Tucker: Trump calls Democrats' bluff on illegal immigrants Trump administration considers relocating illegal immigrants at the border to sanctuary cities.